Club Moss is a natural ingredient sometimes found in over the counter weight loss supplements. Although it is not among the most hyped or common ingredients, it does make its way into many formulas. A manufacturer may identify this substance as club moss on the product label. That said, this substance is known by many other names. As a result, dieters may also find it listed as one of several other potential names as well. Other common names for club moss include: witch meal, wolf’s claw, shen jin cao, lycopode en massue, stag’s horn, lycopodium clavatum, lycopodium lycopode or licopodio. This ingredient is an herb. It has been used in several regions of the world for many different potential medicinal purposes. Among the many reasons club moss has been used for medicinal purposes include for bladder and kidney disorders and as a diuretic. Parts of the entire plant are used for these various medicinal purposes. 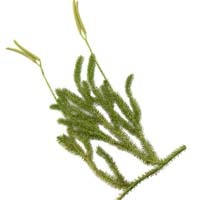 Due to its similar name, many people confuse club moss with another plant called Chinese club moss. That substance is not the same thing. Chinese club moss contains huperzine A – a chemical which may be helpful in the treatment of certain conditions such as memory loss, dementia and myasthenia gravis. Club moss does not contain huperzine A. In terms of its use in diet pills, it is often included for its diuretic effects. This is because diuretics can increase urine output. As a result, it may help some people to be able to flush out the excess fluids stored in their tissues. 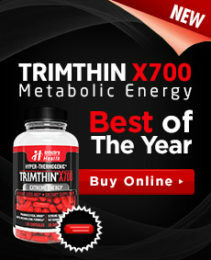 This can temporarily provide the appearance of having lost weight. However, any weight lost by way of a diuretic is only water weight. This means that it is temporary and does not involve actually burning fat. Much of the fluid will return to the tissues once the dieter has rehydrated once again. While this ingredient is commonly believed to be an effective diuretic, there is insufficient evidence to suggest that it is helpful in treating bladder disorders, kidney disorders or other conditions including obesity. It is important to be careful before taking products containing club moss. There is some research suggesting that it may be unsafe when taken orally due to certain poisonous chemicals contained within this herb. As of the time of the writing of this review, no poisonings from this ingredient have been reported. That said, club moss should be taken with great care and only through a doctor’s guidance.